BIG PRICE DROP BEAT THE HEAT AT PRIVATE COMMUNITY POOL - MAKE YOUR MOVE on this Big home on a beautifully landscaped lot in the well-established & much sought after Creek Cliff Estates! The only private, optional HOA offering a community Pool! Traditional 3BR/2BA/2car side-entry garage 2, 316 sqft with Home Warranty in place . With 2 living & 2 dining areas, there is definitely potential for more BRs. Buiilt in 1983 but has had many updates in the past 10 yrs including: New Woodbridge Windows, New Roof, 18" Ceramic Tile throughout, Irrigation System, Gutters w/screens & neutral interior paint throughout. Bi-annual HVAC inspections and annual pest inspections confirm this home is well maintained. 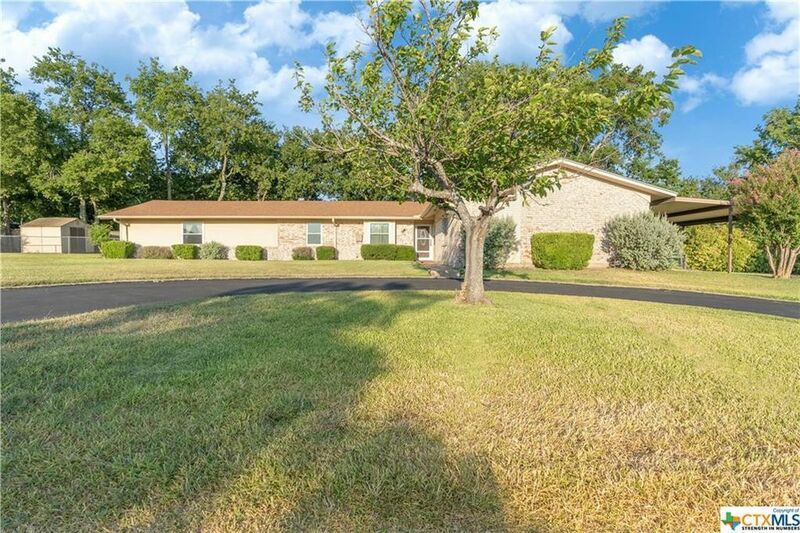 Private Community Pool, Gatesville ISD, Creek Cliff Estates, great curb appeal, lots of room inside and out, and convenient location are just a few of the things I love about this home! SIMPLY TOO MUCH TO SAY ABOUT THIS HOME, FOR FULL DESCRIPTION VISIT OUR WEBSITE! Association Name: Creek Cliff Recreational Assoc. Inc. Directions: From Courthouse go W. on Main St/Hwy 84 & continue straight on Hwy 84 past the FM 116 turn off. R on Mesa. House on L.